​​​No Yoga experience is necessary. This class is meant for anyone wanting to enjoy ​the many benefits of Yoga, regardless of age or physical challenges. ​This class focuses on fundamental yoga poses, ​alignment principles, ​and breathing and developing core strength. Yoga poses flowing from one pose to another, very little holding of poses. This class is suitable for Level 1 and Level 2 students. Ages 4, 5 and 6 no experience necessary, classes are 30 minutes, $5 per class. Some yoga experience is necessary. This class is meant for anyone wanting to enjoy ​the many benefits of Yoga, regardless of age or physical challenges. At least 2 years of yoga experience. 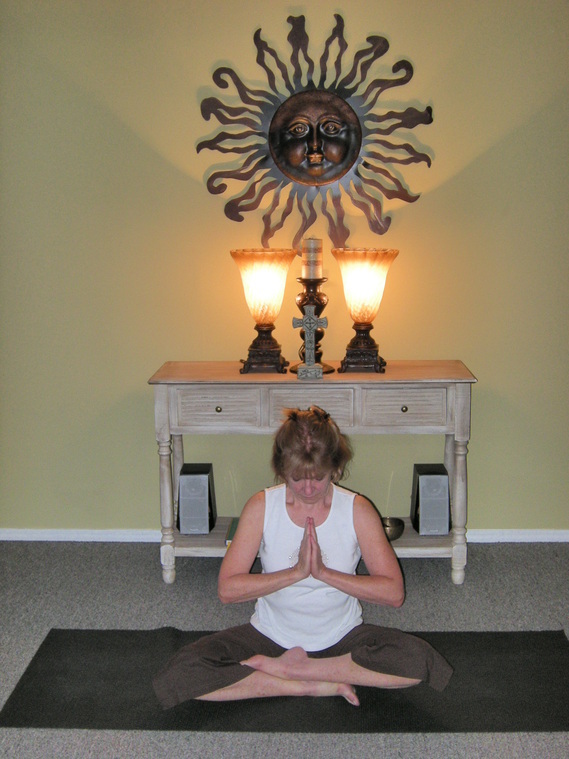 This class focuses on building strength, flexibility, focus and an overall sense of peace. ​New students with yoga experience may join at any time. Students will experience different types of meditation to enrich their personal meditation practice as well as experience meditation in community. Partner yoga is designed for 2 people to support each other in yoga poses. Partner breath work and meditation will be included in the class. Lite snacks and beverages offered following class. No yoga experience is required. Lots of fun for party offerings...scheduled as requested. Students will experience deep relaxation and restoration of the body, mind and spirit with gentle supported yoga, pranayama (breath work) and meditation. No yoga experience necessary. No Yoga experience is necessary. This class is meant for anyone wanting to enjoy the many benefits of Yoga, regardless of age or physical challenges. This class focuses on lengthening and strengthening connective tissues by remaining in seated and reclined poses for 2-7 minutes. Students try to remain still and use their breath to manage discomfort while seeking their edges.